The NFL and its on-field officials' union are negotiating again, hoping to end the lockout that resulted in replacement officials working the preseason. The NFL and its on-field officials' union began negotiating again Friday, hoping to end the lockout that resulted in replacement officials working the preseason. The league locked out the NFL Referees Association in early June, then hired replacements, whose work in exhibition games has been heavily criticized. There even was some optimism surrounding Friday's talks, as Michael Arnold, lead negotiator for the officials, said in a statement: "Reports on the economic gap between the NFL and NFLRA are inaccurate." League spokesman Greg Aiello said that statement was accurate. Earlier this week, NFL executive Ray Anderson said the regular season would open with replacement officials and that the league was prepared to use them "as much ... as necessary" afterward. But the NFL has seen and heard the problems the replacements have had this summer, something that tests the integrity of the sport. In 2001, the NFL used replacements for the first week of the regular season before a contract was finalized. The speed of the game and the amount of time starters are on the field increase exponentially for real games, making the replacements' task more challenging. Anderson, the NFL's executive vice-president of football operations, told the clubs in a memo Wednesday that the replacements will work "as much of the regular season as necessary," adding that training with each crew will continue. 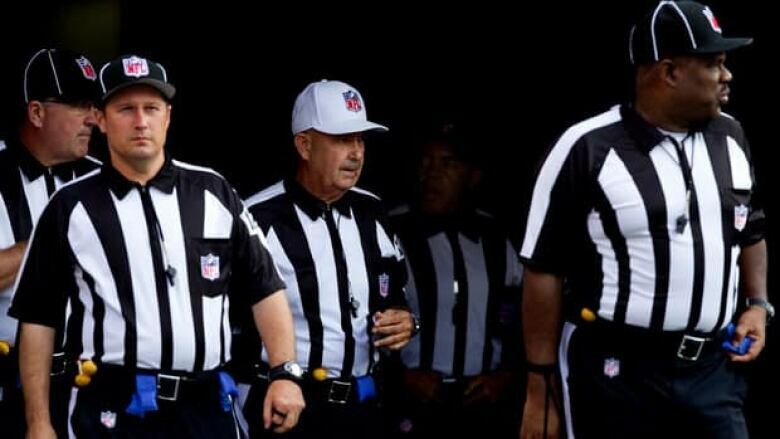 With talks reopening for the first time in more than a month, the regular officials could be back to work before the Cowboys visit the Giants on Wednesday night to open the schedule. Arnold said, "Ongoing negotiations with the NFL will be conducted in a confidential and professional manner." The league and the NFL Players Association began meeting to end their lockout last year in a similar fashion after a lengthy stalemate. But the league and players weren't up against as tight a deadline as the NFL is with the officials. Among the NFL's proposal is hiring fulltime seven officials — one per position of referee, umpire, line judge, side judge, back judge, field judge, head linesman — who would train, scout, handle communications, safety issues and rules interpretations year-round. Now, all NFL game officials are part-time employees, with outside jobs ranging from lawyers to teachers to business owners. In response, the NFLRA has said it is not opposed to full-time officials "if they are fairly compensated." The union also disputes the value of the league's current salary offer, saying it would not be the five per cent to 11 per cent increase the NFL claims.